Poly Density Kit, Density: Educational Innovations, Inc. 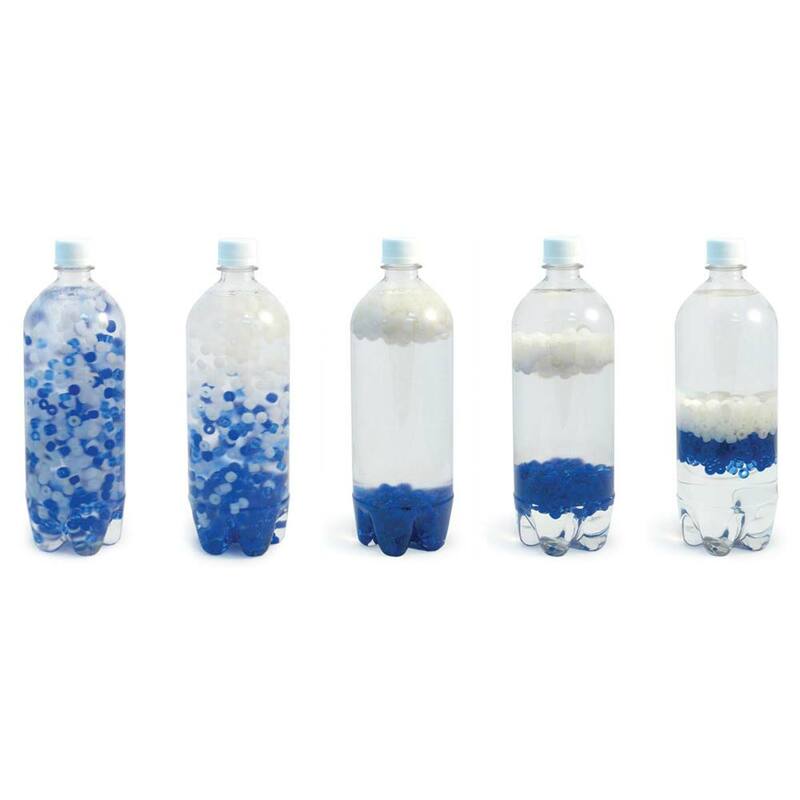 When a 1 L bottle is shaken, the blue and white beads mix within the liquid as expected. However, when allowed to settle, the beads separate, white at the top and blue at the bottom. Shortly, the two separated colored beads slowly come together until they meet in the center of the liquid, white on top of blue. It is curious to see beads floating half way in a liquid. The mixing and separating can be observed over and over. Please note: Rubbing alcohol is available in both 70% and 91%. Both are acceptable, but it is critical that you follow the correct procedure for the type of alcohol that you are using. Remove the cap from the bottle containing extremely pure salt (NaCl), and both the white and blue beads. Add 400 ml of clean water, and recap. The water level will be about 11 cm (4.25 in.) from the bottom of the bottle. Shake for several minutes until the salt dissolves. Add 450 ml of 91% rubbing alcohol (isopropanol), and tightly recap. The liquid level will now be about 19 cm (7.3 in.) from the bottom of the bottle. Add 265 ml of clean water, and recap. The water level will be about 7.25 cm (2.85 in.) from the bottom of the bottle. Shake for several minutes until the salt dissolves. Add 585 ml of 70% rubbing alcohol (isopropanol), and tightly recap. The liquid level will now be about 19 cm (7.3 in.) from the bottom of the bottle. Water and isopropanol are soluble in all proportions; they are miscible. Both the water molecules and the alcohol molecules have -OH groups that easily hydrogen bond to each other. The sodium chloride salt particles, Na1+ and Cl1-, however, preferentially bind with the water molecules forcing the alcohol molecules out of the water solution. This causes two layers to form: alcohol on top and the more dense water and salt layer on the bottom. Isopropanol and salt water are immiscible; they do not mix in all proportions. This 'salting out' technique is commonly used to remove organic molecules from an aqueous solution. When the bottle is shaken, the two liquid layers momentarily mix, forming a pseudo homogenous mixture with a density between the two separate liquid densities. The white beads with a lesser density than this liquid mixture float on top and the blue beads with a greater density sink to the bottom. Then, as the aqueous salt layer separates from the alcohol, the blue beads rise in the bottom aqueous layer and the white beads sink in the top alcohol layer until they meet in the center. 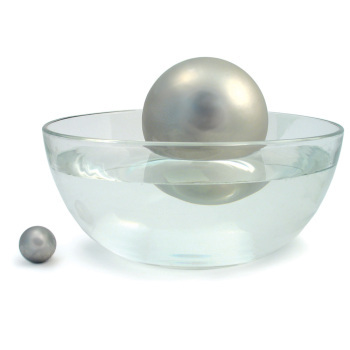 From lowest density to highest density the order is as follows: isopropanol, white beads, blue beads, and salt water. Because the beads float between the two liquids, the actual alcohol/salt water interface is difficult to observe, adding to the mystery. Order spontaneously forming from disorder is unexpected and gives the illusion of a violation of the Second Law of Thermodynamics. It was amazing and fantastic and wonderful. This a very intriguing apparatus because it is so counter intuitive to what one would expect to happen. Even knowing the materials (salt water, isopropanol, and two sets of beads with different densities) that are in the bottle it still made us reach way down to understand the underlying concepts that are employed. The person who developed this demonstration gets my applause. My teaching assistant and I were so intrigued that we decided to take it apart and then put it back together by using Coke and Diet-Coke in place of the beads. We used a lot of isopropanol in doing this so I would think twice before you actually tried it for yourself. Using containers large enough to hold the cans of soda, we first filled them with water - the Coke sank while the Diet-Coke floated. We repeated the experiment using isopropanol in place of the water. Both sodas sank. We then used salt water, both cans of soda floated with the diet floating higher than it did in pure water. We then vigorously mixed the salt water with the isopropanol and then let it stand. Over time one could see the boundary forming which separated the isopropanol from the salt water. Finally, we shook the mixture of salt water with isopropanol and immediately placed the cans of soda in the mixture. The diet rose to the top while the regular soda sank to the very bottom. Over time, the regular soda rose to the middle of the mixture while the diet sank to the middle, similar to the beads! Doing these trials helped us to understand what was happening when we shook the bottle and how the beads came back together at the interface between the salt water and the alcohol. This is a great way to talk about density (and for the organic folk, the process of salting out an organic liquid from water by adding salt), Although we have not presented this very often at outreach events (our physics outreach team usually uses this) it is a source of wonder! My TA and I presented this soda version at the ChemEd conference in Radford, VA. If you don't have one of these, I suggest you get one!!! It's a great demo for everyone. Even the adults are amazed by this demonstration. This is interesting. I takes some time for students to figure out. Price was rather steep for what I received. I had this in my science lab for several years, but never explained the processes going on to students, because I wanted them to constantly wonder and hypothesize about the science behind it. It worked! They held it, shook it, put it in the sun, the dark, and just a few students figured out what was going on in the bottle. Great to encourage inquisitive minds. This is a great demo! Since I do outreach programs with very young kids, I bought two units, one of which is just filled with the beads and plain water. First I show them the ordinary bottle, and then the crazy bottle. They love it! I teach life science but I am always trying to excite my kids about science. I put this out on my desk and watched to see what they would do. They went wild about it. There isn't a day that some child doesn't come up to shake it or discuss what is happening in the bottle. This product is perfect for any science classroom! It works just as advertised! It is fun and thought-provoking. I am going to use it to talk about differentiation of layers/materials inside of planets. This demonstration is a favorite of mine when reviewing density and I have done it for years. I had used another teacher's during the course of those years until she moved to another school and took her bottle with her. When I received mine from Education Innovations (within two days of my order!!) I was eager to set it up and use it in my classes. In my haste I did not mix my salt and water thoroughly and the bottle did not work as it was supposed to. I contacted Educational Innovations in need of advice of how to correct my mistake. A representative from the company responded within hours of my email with troubleshooting advice and because of that I was able to get the bottle to work for the next day in class. Excellent product, excellent company, excellent delivery, and above all excellent customer service. What more could you ask for? Owner Response: Thank you for your positive review! We pride ourselves on our customer service. I have used this demo before and the students are always intrigued by what happens. Works great! A really good start up to a class. We love using the Poly Density bottle to teach and demonstrate discrepant events for teaching density. It is a fantastic conversation and question starter. The kit comes ready to go. All you have to do is mix it up and put the cap on. We ordered two of these a few years ago and they are still going strong - just wanted a few more. They hold up well. This is the best purchase I have made in a long time for my science lab. Students of all ages have been intrigued by this product. Many discussions have taken place about the why's and isn't that what teaching science is all about! My jr. high tudents have even brought in their younger siblings to see and play with this product. I love, love, love this! My students can't put it down. They constantly play with it -- trying to discover the science behind the magic. My students have tried to reproduce this -- to no avail. But the science technique and concepts they learn from their trial and error is amazing! After using it for 7 months, the top inside of the bottle scratches -- which make it lose a bit, but it still works fine. I'll be ordering another for next year!! how is the blue bead denser than the white bead? This density demonstration is great- there are multiple lessons that can be taught with this one demonstration, and kids just love looking at it over and over. The color changes in the white beads with UV light, a bonus a found out when I happened to put it in the windowsill! Solutions and mixtures can be taught as well, in addition to density. Great deal! This demo is by far my favorite and my student's favorite. The oohs and aahs that this demo produces is amazing. What a clever idea! I used this after I have done a demo with Cartesian Divers. Students think they have floating and sinking all figured out, and then this! I add the UV flashlight which changes the colors of the white beads -- and they think somehow the color change has something to do with the beads coming back together. It's a great head scratcher for them. I won this item at the NSTA conference last fall and have used it several times. It is a fantastic visual for students to see the density layers. I've also used this as an observation activity and have had student record notes and sketches in their lab book. Excellent product! A great way grab student's attention! The density bottle drives students crazy. Their brains come up with 100 different explanations as to why some beads float over top of the others. Once they come up with possibilities, shake up the bottle and watch their faces. This is the best critical thinking resource! This bottle sits on the table as students enter my elementary science lab. It never stops to intrigue students (and adults!) as to why the beads sink, rise, float, separate and then come together. It forces all to observe, think, test, think, retest, observe, etc., etc. I don't ever tell students what is happening as I want them to take the discussion outside of the classroom to create greater thinkers. Thank you for creating this resource! The kids find this interesting from elementary through college. They can shake it and it will always separate given a little time. I love this bottle, my students love it. When it's out people are always coming over and asking what's going on, turning it sideways, turning it upside down, shaking it, asking questions. My middle schoolers LOVE this, and the guesses I get about the materials just keep getting more and more interesting. They want to shake and watch, again and again. Interestingly, sometimes I forget this is the best way to talk about density with them, until they insert the words "like the blue beads" into answers for things that are more/less dense... it takes a moment, then I remember the demo, even if it's not in sight. I leave this on my desk and kids play with it all year. I refuse to tell them how it works and eventually they figure it out. They're proud of themselves and enjoy telling everyone else that comes in the room how it works. This simple demo will keep your students engaged at any level. 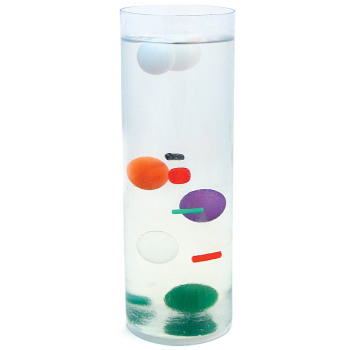 I use this in Chemistry and Physical Science to show density and the students love it!It is great as an inquiry activity to get them thinking!! One of my favorite EI products. This bottle looks very simple, but it is deceptive - it is awesome. It allows a teacher to really find out if their students understand density. A MUST have for the science teacher that has density in their standards! Students can use the Poly Density Kit in an investigation to describe and classify different kinds of materials by their observable properties. Students can analyze data obtained from testing the Poly Density Kit to determine which materials have the properties that are best suited for an intended purpose. 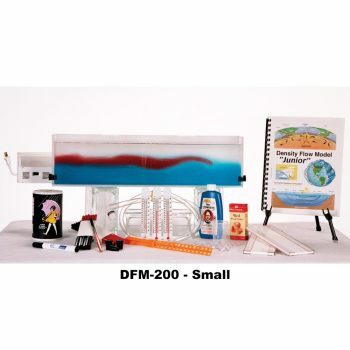 Students can use the Poly Density Kit in an investigation to develop a model to describe that matter is made of particles too small to be seen. Students can make observations and measurements of the different materials in the Poly Density Kit to identify materials based on their properties. Students can use the Poly Density Kit in an investigation to develop models to describe the atomic composition of simple molecules and extended structures. Students can use the Poly Density Kit in an investigation to predict properties of elements. Students can use the Periodic Table as a model to predict the relative properties of elements based on the patterns of electrons in the outermost energy level of atoms. Students can use the Poly Density Kit in an investigation to communicate scientific and technical information about why the molecular-level structure is important in the functioning of designed materials. 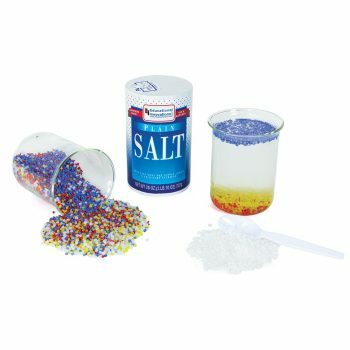 This Poly Density Kit is an awesome demonstration for density, solubility, miscibility and the salting effect. All students will be amazed by the actions the beads take. Due to the unexpected results in the bottle, secondary students have to use science to dissect an explanation for the layering. Great inquiry opportunities for all students. Some teachers never give away the secret. Students can use the Poly Density Kit in an investigation of density. Shake up the bottle and let them sketch the various motions of the beads. For primary grades, a second bottle can be prepared with some food coloring added to the water solution, to bring a more concrete explanation. Secondary students may be able to use chemistry to decipher the paradox.